Let's say you own an army surplus store in Finland and when Arnold Schwarzenegger's visiting your country you want him to stop in and say hi. How do you do this? Well if you're the owner of Varusteleka you make an epic video featuring lots of After Effects explosions and invite him to come on by. And it has to be one of the best adverts you could ever hope to do. 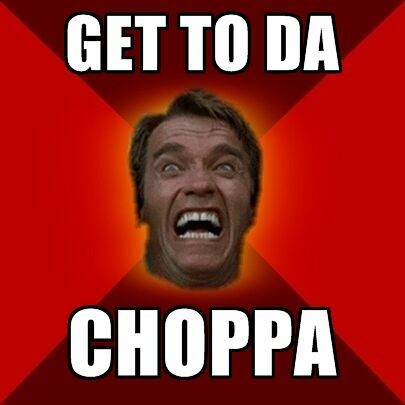 And the store has started a whole campaign to get Arnie to the Helsinki store. So far they have 14,918 fans who've want him there too. We heard that Mr. Schwarzenegger is coming to Finland and we thought it would be epic to get him to visit our store. That is why we made this video and now we need your help, dear fans, to spread this message all around the world by any means necessary! You can increase the awareness by clicking social media share links below the big counter and Vote for Arnold -text. Do it now. Come on Arnie, don't let them down. Arnold Schwarzenegger Wants To Teach You How To Blow Stuff Up—And Who Better To Learn From?